Use a clean fresh look to set yourself apart. Deb and her team have been working in the insurance business serving southern California for the last 30 years. They wanted to focus more on medicare insurance services, specifically in Orange County, so they came to us. 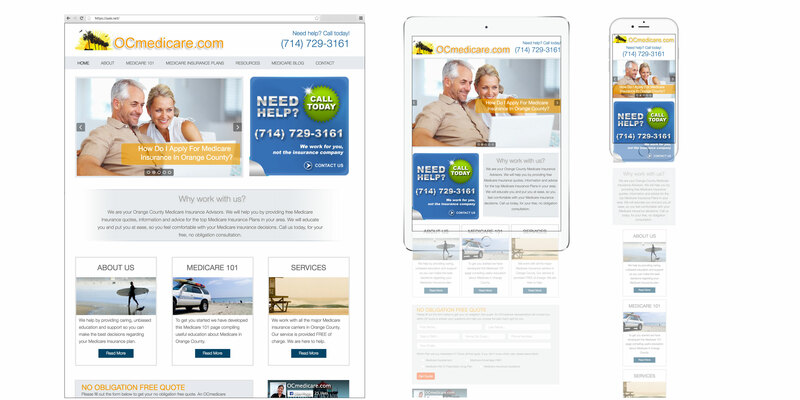 We developed a strategy that would propel OCMedicare.com into their desired niche. We started out with the goal to accomplish two two things, 1) Create new and fresh content on the website that would educate and answer the target audience’s needs and 2) Update the current site so layout and structure are clean, easy to navigate and optimized. We will educate you and put you at ease, so you feel comfortable with your Medicare insurance decisions. Because the growth strategy focused around the website it needed to be new and highly functioning. 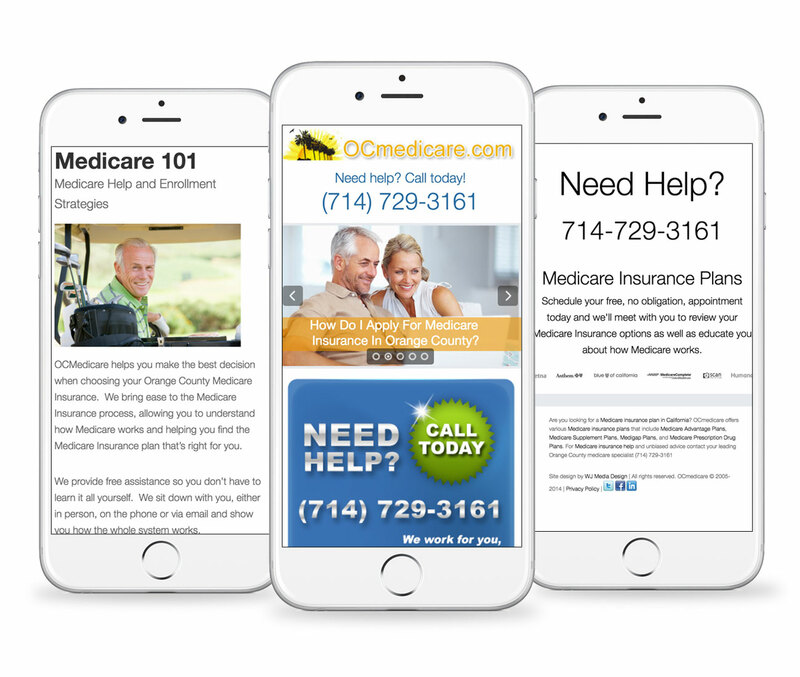 Even though OCMedicare.com’s target audience consists of a senior group more and more are using tablets and phones to access the website. We needed to ensure a consistent and engaging experience across all devices and fully optimized the site to fit this need. User experience was also addressed by taking an inventory of the current pages and adding/revising as needed to ensure all pages are connected properly. 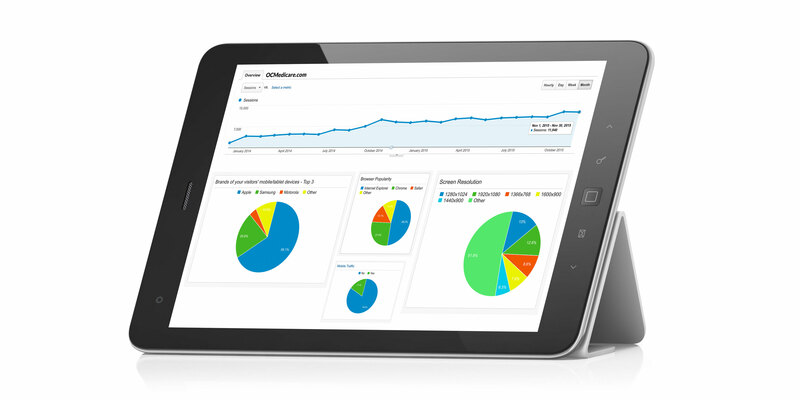 The site’s hierarchy was designed to match the way the user navigates the site. Ready to start talking about your project planning? Or just want to chat? Our primary focus is your vision and making your ideas come to life. With our professional services we can help you solidify your marketing strategy, refine your corporate identity and strengthen the branding of your product line. Stay organized and up to date on all our projects together! Made with and lots of espresso.